Big Brother Season 19 (BB19) continues on Day 66 when Jason adjourns the nomination ceremony where he put up Matt and Raven; Jason admits he is lying, he doesn’t want to backdoor Kevin, he wants to end their showmance instead. Raven hopes Jason will stick to the plan but Matt is skeptical and says this is BB and no one knows for sure. Raven says one of them needs to win the power of veto (PoV/Veto) to save one of them from the block. Paul is playing the entire house to ensure his own safety, telling them what they want to hear and act like he has nothing to do with what is happening. Jason and Kevin are in a private room, Jason feels its a tough position to be in when people are mistrusting Kevin more and more. Raven says if one of them goes home this week, next week either Jason or Alex will be joining them in the Jury House and Matt prefers they just win the veto; he says he will pull Raven off if he wins the veto because she needs to stay in the game far more than he does. Kevin, meanwhile, brushes his teeth in the bathroom, then uses his toothbrush to straighten his hair and eyebrows and finishes off with brushing his teeth. In the HoH room, Alex and Jason talk about Kevin as he wants to know why he is the only one who doesn’t hate him. She says he is a douchebag who is mean to her, Paul and Josh. She wants Kevin to go home because he is getting on her nerves and uses Jason’s hatred for mean and malicious people to convince him to put Kevin up on the block. Jason wonders if Alex is trying to bait him into something because he is HoH. Jason calls everyone to join him in the living room. Only 6 people will participate, Jason, Matt and Raven stand up front when Jason picks Josh. Matt picks Paul and Raven picks Kevin. Kevin realizes he is at the point in the game that it goes beyond social skills and needs to really compete to win the PoV. Matt and Raven feel best case scenario is Paul wins, Paul meets with Jason and Alex saying maybe they should put Kevin up there so he realizes he needs to step up the game. Jason feels he needs to win the veto so he has some time to think. The game Hide and Go Veto is set up in the backyard; Christmas is the host while Alex just gets to relax. Each player will be in a cabana and cannot communicate with another; one at a time they will enter the house and have 3 minutes to hide their veto card; once they are all hidden, they will take turns to search for their opponents cards. The catch is none of them will know whose card they have and once all cards have been found, they will be placed on the board. After the 5th card has been revealed, it will unlock who has been eliminated; the HG who hides their card the best wins the PoV. Each competitor searches the house, destroying rooms as they go through them. Kevin finds his stuff all over and thinks its very disrespectful that they would do that to his stuff. Jason finds the first veto card. Josh races through the house and finds a condom stash and swears he is not cleaning up the house after this. Raven finds the second veto card. Kevin fixes his suits, upset at the mess but no veto. Raven finds the third veto card. Matt finds the fourth veto. Jason finds the fifth card, meaning its time for the big reveal. Christmas reveals the 5 veto cards belong to 1. Josh 2. Matt 3. Kevin 4. Paul and 5. Raven, meaning Jason won the golden power of veto. The HGs return to the BB house and Jason shows them were his card was as several of them say they check that spot several times; they are in shock at how messy the house is. Paul tries to assure Raven that Matt is still going to pull her off and put Kevin up but also admits he is only one vote and doesn’t control what everyone else does. Jason has a super big decision and his head and stomach hurt as he needs to decide what happens next. Kevin comes to see Jason in the HoH, talks about putting Matt up first and Jason asks him if he wants to do something nuts. He runs the pawn thing by Kevin that Alex and Paul have been pressuring him over. When he tells Kevin, he wants to know why and Jason says he wants to do it because everyone has been on the block except for him and it doesn’t seem logical. Kevin is shocked that they have been sleeping side by side since the beginning and is his best friend in the house; he is certain someone has put a “bug” into Jason’s ear. Kevin is not into the idea of him being the pawn and Jason isn’t going to use him because he is his pal. 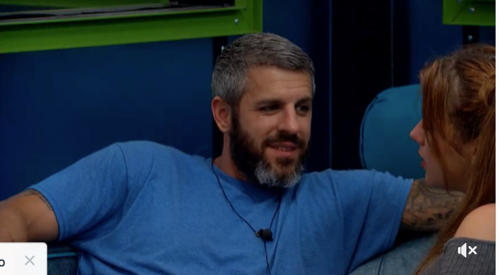 He doesn’t care about the blow back from Matt and Raven as he hasn’t said more than 50 words to them in 68 days. He doesn’t want to go against Alex and Paul but he absolutely refuses to put Kevin up. Alex is furious that Jason won’t just put Kevin up; feeling its Jason’s decision, not Kevin’s. Jason feels paranoid when he sees Alex and Paul giving each other looks and thinks they want Kevin up and out. He isn’t using the veto and says they are sending Matt home. Raven and Matt talk about if one of them is going home and Raven reminds him that Jason hugged her promising to pull one of them off as Kevin sits alone on his bed. Matt jokes that if Jason doesn’t pull one of them off, he will feel the wrath of Raven and he is the one person who knows how bad that can be. Alex is mad that Kevin is causing a rift between her and Jason. Alex and Christmas tells Jason he needs to put Kevin up because if he doesn’t follow through with his promise to Matt and Raven he will lose two votes in Jury. Paul tells him it is Jason’s HoH and his PoV, so he needs to make a decision. Jason is frustrated that Alex is pushing everyone to get rid of Kevin because she doesn’t like him and wants Jason to do her dirty work; its a terrible spot to be in. Jason calls everyone to the Veto meeting; Raven tells Jason she trusts him 110% and for him to remember who put him in the Extreme-a-tard. Matt says he has gotten pretty much at home on the block, and prefers he doesn’t use the veto on him but on Raven instead. As they hold hands, Jason says these are tough waters to navigate but going with his own core thoughts and principles, he has decided not to use the power of veto but will entertain them if they have any questions and neither one has anything to say. The Veto meeting is adjourned!